Ghanaian playwright, Uncle Ebo Whyte has urged Ghanaians to celebrate their heroes when they're alive and not wait for them to die. For the past 10 years, Uncle Ebo Whyte and his Roverman Productions have addressed very important societal issues with their plays. Last year, Roverman celebrated the legacy of the founder of Action Chapel International, Archbishop Nicholas Duncan Williams, with a play appropriately titled Nicholas. The play received a lot of positive feedback and it appears that has given Ebo Whyte new ideas for his quarterly productions. 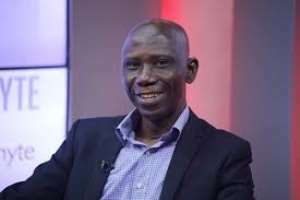 In a recent interview with Graphic Showbiz at his office in Osu recently, Uncle Ebo Whyte said many Ghanaians are doing outstanding work in their various fields of endeavour but don’t get celebrated because they are not famous. He stated that his observation over the years has shown that Ghanaians don’t love to celebrate their own and that's why it has become his motivation to stage a play that will celebrate an icon every year. “Trust me, there are many Ghanaians who would want to know the life stories of some popular politicians, diplomats, entertainment figures and even religious personalities among others but such opportunities are rare. “The reviews were good after Nicholas and many people approached us about how they wanted similar productions about some other popular figures. Hence, this year, we will dedicate our third quarter play to promoting that cause and in subsequent years as well. “It is always important to honour and celebrate people when they are alive than to posthumously do that,” he stated. Although his productions are well patronised, Uncle Ebo Whyte, who started his work in the 70s said it hasn’t been a smooth ride for him and advised young playwrights to appreciate small beginnings. “Getting sponsorship in our part of the world is not easy so I normally advise young playwrights not to get carried away by competition by hosting their events at big places such as the National Theatre. “I didn’t start staging my plays at the National Theatre because back then, I was building my brand and when I realised it had grown and I could fill the National Theatre, I started Roverman Productions. It is better that way than to rent a big place and not get the numbers to pay your bills,” he stated. The Roverman crew is rehearsing for its first production of the year, titled, Dora Why? Scheduled to show from Good Friday, April 19 to Easter Monday, April 22 at the National Theatre, the play is intended to address how negative attitudes affect the people we cherish as well as generations.